But i keep getting these tons of messages in my inbox everyday, of people asking me questions like, how can they update their infinix Note 4 devices to the latest android 8.1 oreo version. You will be getting the new android version, the android 8.1 oreo. 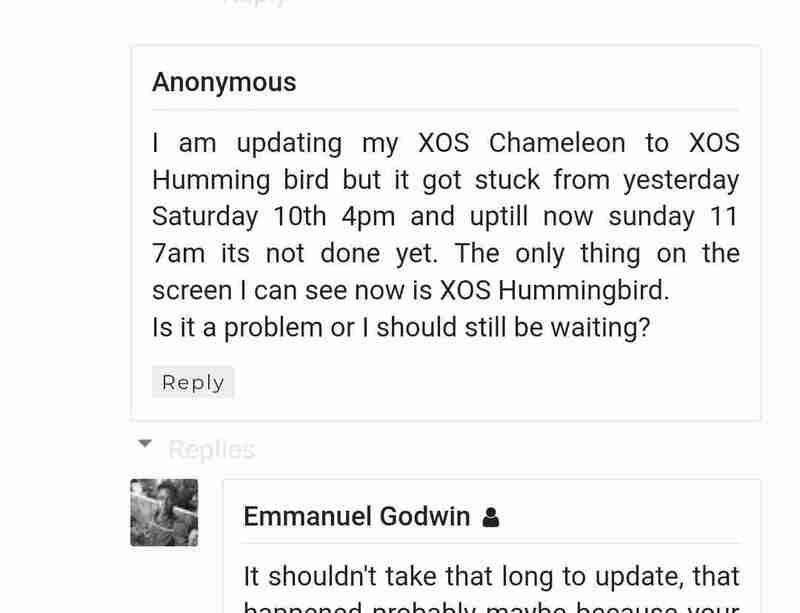 You will as well be getting the latest XOS 3.2 Hummingbird version. A new notifications message board. A new "Eye Protection" icon has been added to the notifications quick toggle (to give you a warmer display during the night, to avoid eye strain). A new PIP (Picture In Picture) mode. So those listed above are the major additions you will be getting when you upgrade to Oreo, there are also a ton of optimizations which are included, but are not listed here. Now let us move to the next step, which is getting ready to update your device. There are some things and precautions you must take prior to the time of updating your device, if not, your device might end up not being able to be updated, or might be caught in a boot loop (a boot loop is a situation where your device is not able to turn on. When you press the power button, it just keeps showing you the Infinix logo or the XOS logo, without booting to the home screen). Here are some photo comments of some people who have landed themselves in similar situations.. So in other to avoid getting yourselves into situations like those up there, here are a few things you must put in place before attempting to update your device. Make sure your device is not rooted before updating it. Rooted devices always come into conflict with the updating package, which always leads to situations like those above. So please make sure you unroot your device before attempting the update. Make sure your device is not running on any custom rom or firmware, before trying to update. The update is based on Infinix's own rom and firmware, and any failure for the update file to find and recognise the firmware, leads to errors like that. Make sure your device is fully charge or at least, have a charge percent of above 60%. More preferably, plug it to a power source during the update to avoid your phone going off, which means abruptly interrupting the update process, which might lead to some fatal errors when you turn it back on. The file is roughly 1.8GB(s) in size, so you should make sure you have enough storage space left in your device, and you also have enough data to download it, or be connected to a wireless network. After downloading, click "Install", and in a matter of minutes, you device will be updated automatically. It is normal for your device to take a little bit longer than usual to finish booting after the update, and you shouldn't encounter any problems if you have strictly adhered to the steps listed above. After downloading, installing, and booting up, you can go to your device settings page to see your new android 8.1 oreo version, plus the new XOS 3.2 Hummingbird UI. So that is it guys, enjoy your android Oreo versions on your devices and feel free to tell us how your experience has been with it so far. Also let us know if you encountered any problems while or after updating your device, we will try our possible best to suggest a reliable solution. We will also be doing a complete review on this topic, so please make sure to subscribe to our newsletter, so that you will not be left out when we drop it. And don't forget to share this article if you like it. 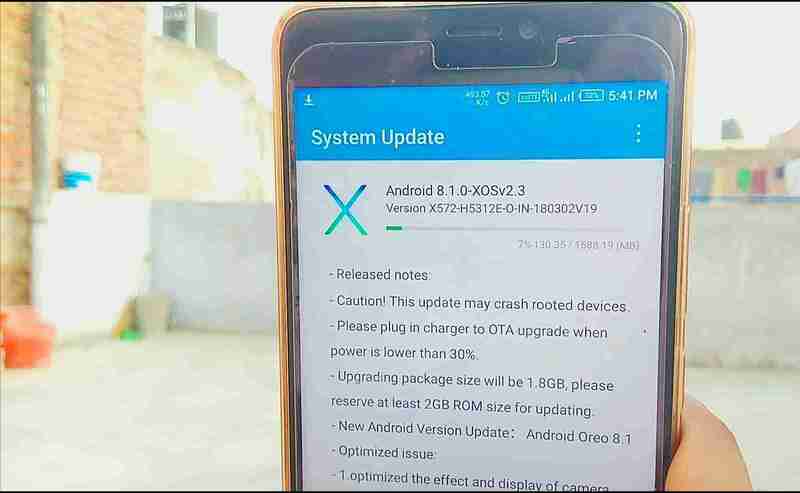 • Android 9.0 Pie Beta Update is now available for the Infinix Note 5 and Note 5 Stylus, Here's how to update your phone to it. 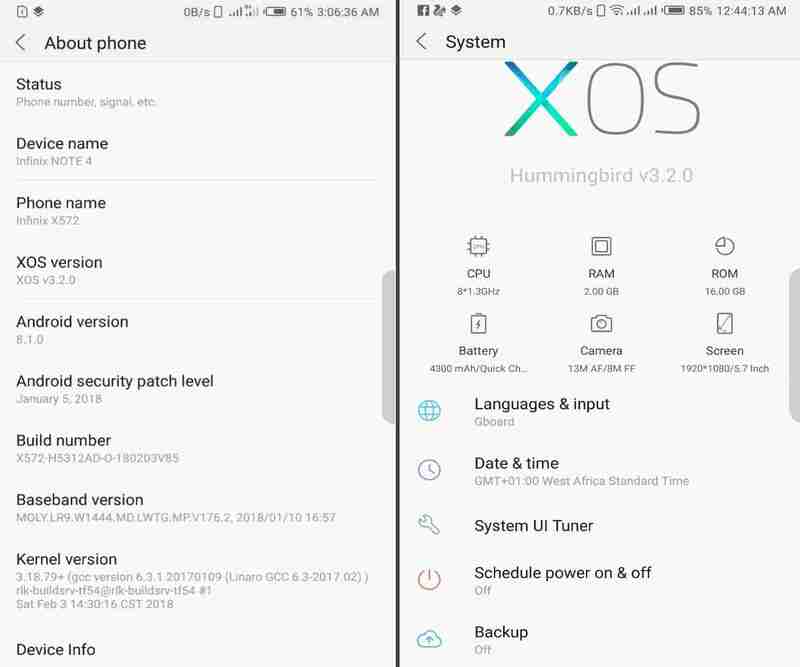 • Infinix Latest XOS 4.0 Honeybee UI has been announced, here are some reasons why everyone is excited about it. • The Upcoming Infinix Zero 6 expected specifications, features and price. 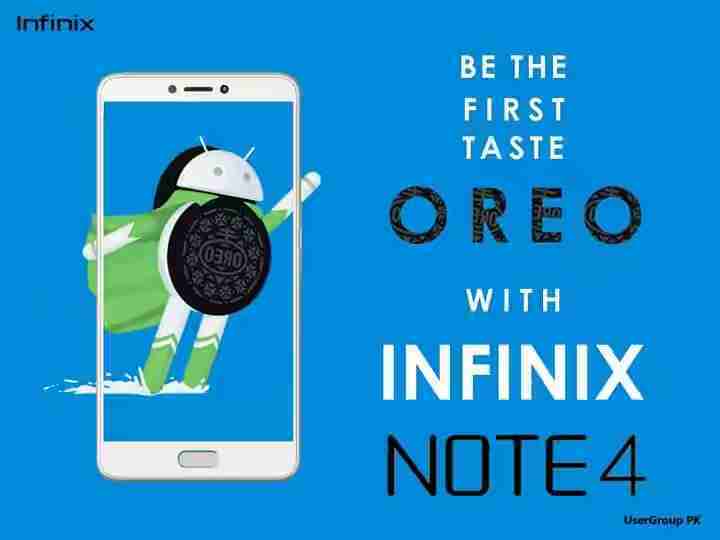 Am yet to receive the Oreo update on my infinix note 4, am starting to think my phone have issues..
Hello Mariah Clark, follow the same process i told Sunday above and that should end your problems or you simply roll back to your previous version. 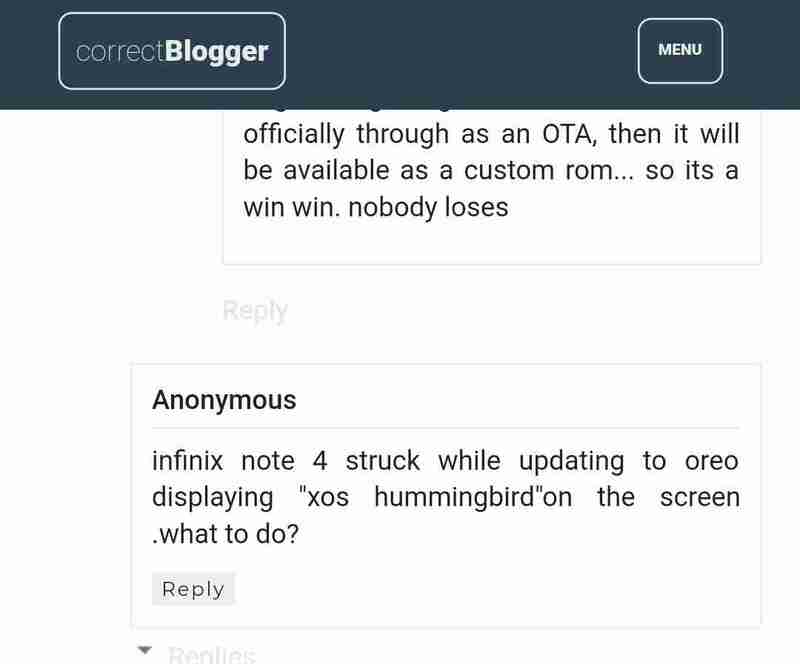 Hello Sunday.. there's a new stable Android 8.1 Oreo + XOS Hummingbird update being sent out to all Infinix Note 4 smart phones via OTA (Over The Air), so just try reupdating your phone using the latest update version and your problems should be over. Enter your comment...pls is the update stable now? Somebody help! Yes the update is stable now. Plwase, after the Oreo upgrade, the Identity field in my wifi setting options disappeared leaving only the Anonymous Identity field, thus making it impossible for me to connect to my Organization's wifi system. Please, what it the solution? How can I resolve this anomalies? Hey. My note 4 says i have no updates. Am on android 7, xos2.3. What should i do?